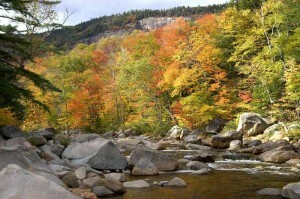 « More Maine Foliage Around the Corner! Around the Freeport area, and south toward Portland, there are spots that are definitely at or near their peak. There are others, though, that have barely begun to turn. This makes it likely that we’ll have another couple of weeks, at least, of good color! Heading north along US-1, in the coastal areas, the status is much the same, with perhaps a bit more that has already turned and is at or near peak, but still a good bit in only the early stages. It is a bit different as you head inland, however. There most areas are at full peak now, with only small amounts left to turn, or just beginning. 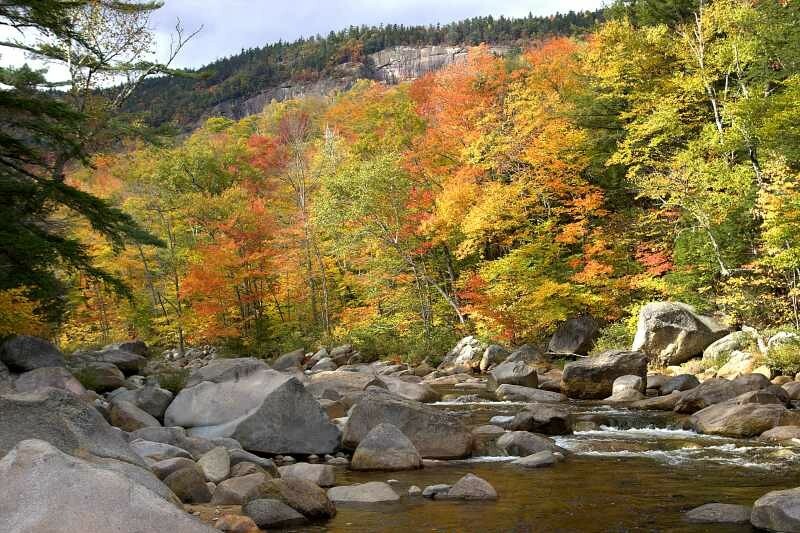 We had guests who went across the inland areas of Maine, near Sebago Lake, to New Hampshire’s Kancamagus Highway, and found nearly the entire area in full color. Their photos were spectacular, with Mount Washington’s snow-capped summit shining brightly above the hillsides of vibrant color! Truly this is one of the wonderful times of year to visit this area! 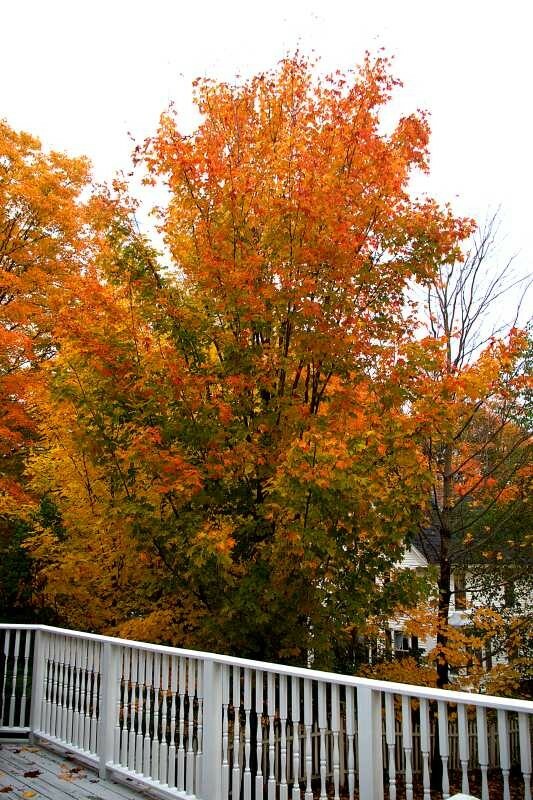 Much of the responsibility for this year’s wonderful season of color is borne by the very wet, cool spring and summer months we experienced, then the cold snaps we’re getting as the autumn proceeds. Looking out the office window, our big maple in the back yard is only about 50% red and yellow, and the rest is still green. 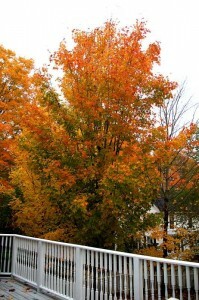 Sure signs of a long foliage season!